No, that basket in our kitchen is not the snake pit from the Indiana Jones movie. It's the spot that collects charging cables for the scads of mobile phones, tablets, wireless speakers and other gadgets that share my house with assorted humans. What I need to tame that swarm of unruly vipers are a few Cord Cocoons. The Cord Cocoon will bring order to cable chaos by winding a charging cable into a neat little disk. With the charging cable collected into its Cord Cocoon, a user can manually unwind only the length needed to power the device. The rest of the cable remains snugly stored inside its disk. And each cocoon has a slot where you can plug in and store the cable's wall charger. 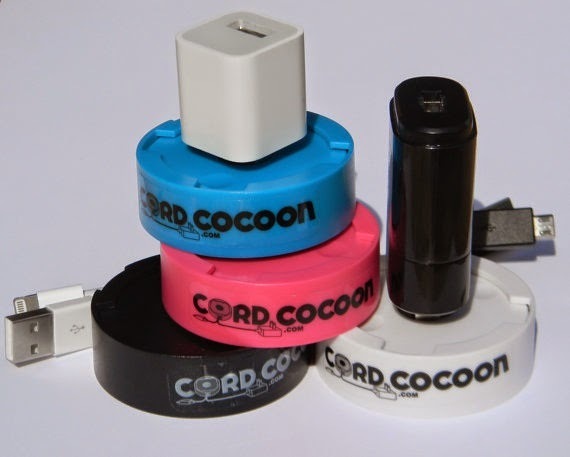 The Cord Cocoon works with a detachable USB cord and with power cords that are attached to devices such as grooming tools or office equipment. You can buy Cord Cocoons in a four-pack for $15.99 at Amazon.com. To see the cocoon in action, check out the video below.